I was born in Hong Kong in 1978. 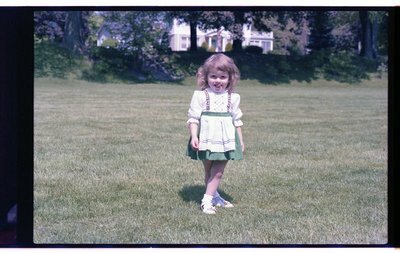 My family moved to Oakville that same year when my father was hired by a bank in Toronto. My parents bought a house at the corner of 4th Ln. and Rebecca St. My mother died seven years ago, but my father still lives in that house today. My parents chose to live in Oakville because of its close proximity to Toronto, and its small town feeling. I remember a lot more green space in Oakville when I was a child. Glen Abbey was the new part of town, and if you drove north of the highway, you were surrounded by farms. Downtown Oakville looked much the same as it does now, although many of the stores are different. I remember eating at the White Oak Restaurant when I was a little kid. I’ve visited it many times over the years. It just closed down this year. When I went to New Central school, I remember walking into town to meet my mother and have a hazelnut croissant at the Croissant Express, which is still there. I went to elementary and high school in Oakville. I attended W.H. Morden, New Central, T.A. Blakelock and Appleby College. 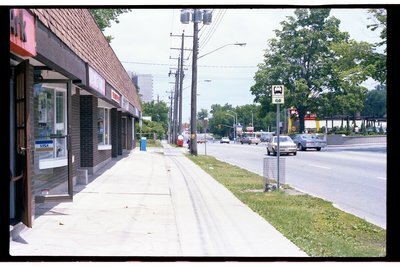 As a child, I liked to walk to the local variety store, which was at the corner of Lakeshore and Suffolk. The sign outside the store said “A. Gain”, but in our family we used to call it “Agains.” Later, when I went to Appleby College, which is right across from the store, I found that the students all referred to it as “The Due” (or Dew? ), but no one could explain the origin of this name. Anyway, it was a regular trip for me when I was little. I would gather up some change and walk there, perhaps buying a Freezie for 40 cents, or, if I didn’t have much money, some red Big Foot chewy candy for 5 cents each. I also used to walk to Hopedale Mall. For years, we didn’t have air conditioning in our house, so if a heatwave struck, one way to spend a summer day was to walk around the air-conditioned mall and stay cool. From about 1980 to 1984, my sister ran a store on Lakeshore Rd., just west of Kerr St. It was called The Ark, and was a consignment store selling resale children’s clothing and toys.